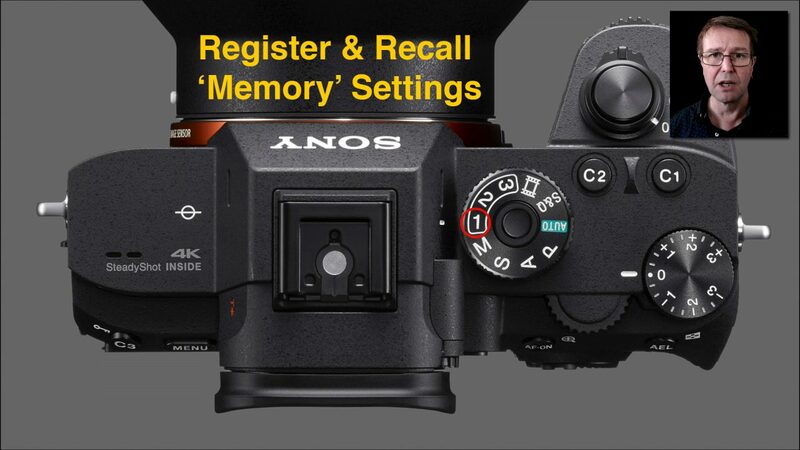 In this movie tutorial I will show you how to save a group of your favourite camera settings and Register them in the camera’s memory. These multiple camera settings can then be recalled by simply turning the Shot Mode dial to 1 or 2. I will also explain how useful the M1 to M4 settings are (these are saved to a memory card rather than the camera). These can be used to restore your favourite registered settings even after than camera has been ‘Initialized’ (set the the factory default settings). This entry was posted in Blog, Camera Settings, Learn, Tips and Techniques and tagged memory, Memory Recall, Register, Save, Settings.